The fisherman who found five-year old Elián Gonzalez in 1998 thought he’d been saved by angels and dolphins. His mother put him on an inner tube before she and everyone else on the boat drowned. They were trying to get to Florida. It was US Thanksgiving. The Cuban boy became a household name. This week, at 24, Elián González, speaking in Russia, condemned US imperialism. 1 He talked about the lies he was told in Florida. He called them a violation. In early 1999, the media showed a small boy in a huge toy car, surrounded by colorful children’s paraphernalia, saying he didn’t want to return to Cuba. His father, who hadn’t known the boy’s mother’s plans, saw his son on TV and cried. In Havana, almost daily, people marched. Night after night, children took the microphone before large crowds. They asked how the US could be “saving” Elián when 11 million of its own children had no health care, and when children were killing other children with guns in US schools. I remember an eight or nine year old, speaking for ten minutes, without notes, under the lights, citing statistics, wondering aloud about the stupidity of believing a six-year old lives better with sophisticated toys and Disney World than with his father who loves him, just because his dad happens to be poor. Another child commented that Elián, who wanted to be a pilot, would, in the US, be able to travel the world, bombing people’s dreams. A student from Honduras, studying at the newly inaugurated Latin American Medical School, described children in his own country carrying huge loads of wood, or working in the mines, burdened by illiteracy. He asked why the US wanted to destroy a beacon of hope, Cuba, where he’d received a full scholarship and a chance to help his people. The North American media, of course, said the kids were “forced”. But children can’t fake the kind of enthusiasm and confidence I saw expressed at rallies across the island. Maybe they don’t fully understand respect, dignity, and solidarity. I don’t either. But they knew these values matter. “I wasn’t sent, you know. Did you hear that?” She went on to explain to the dark, silent building: “You don’t know us. And in particular, you don’t know that nothing is more important in Cuba than one child”. In fact, most of the US population (82%) thought Elián should be returned to his father in Cuba, and he eventually was. Fidel Castro used to say that the US people, for the most part, want to do the right thing. The problem, he’d add, is that their government lies to them. It is no small challenge. Those lies, at least some, are an identity. They become expectations, rooted in social practises. They are presupposed, day by day. Some are reliable. I expect fire to be hot and I withdraw my hand, without thinking. I have that expectation because of collaborative social practises. Some expectations are based in true beliefs. We rely upon them necessarily. But some are arbitrary, based in social conventions. It is why José Martí, nineteenth century independence leader, thought a false idea of knowledge was a bigger hurdle for Latin American independence than the powerful northern neighbour. 2 Expectations determine how we understand the world, even what we see. This is well-known in philosophy. It means, if the insight is pursued, as it should be, that imperialism must be challenged in order to think – properly. Elián was right to say this week that the lies he was told in Florida, as a small child, were a violation. A violation is an action that breaks something. When lies are about human possibilities, about who we are as human beings, and they become expectations, they break humanness, and the imagination that might feed its possibility. The same year Elián was held in Florida, the governor of Illinois visited Cuba, the first such visit in forty years. After five days, back in Illinois, he said he was impressed that Cuba’s infant mortality rate was only 7.1 deaths per thousand live births, that there is one doctor for each 170 persons, that all children, even in remote mountain areas, receive thirteen vaccinations. The governor was accused of having been brain-washed. He was impressed that a poor country takes care of its most vulnerable citizens. The statistics, though, are well-known. What was startling was the importance the governor gave them. It raises a question, or might have. Cuba has few natural resources. But it has people. And for hundreds of years, starting long before the Cuban Revolution, it has cultivated ideas explaining why this matters. Those ideas aren’t known in the North, and they won’t be, easily, for reasons Martí identified: a false view of knowledge. They won’t be known because of expectations that violate. They are part of a national identity, expectations that must be challenged in order to think, properly. The kids I heard at those rallies raised a question: about imperialism and the truths it denies. But it wasn’t what they said. It was how they were. And it wasn’t just them. It was the social practises that made what they said – about respect, dignity and solidarity – credible. They made it matter. 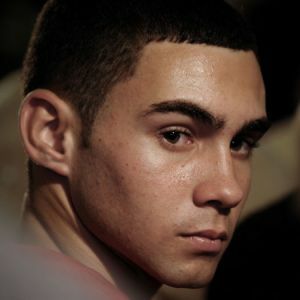 Some of those kids are still speaking out – Elián, for one – about lies that violate. Ana Belén Montes spoke out, with her actions.4 She is in jail, in the US, having hurt no one, although she damaged violating lies. Please sign petition here.